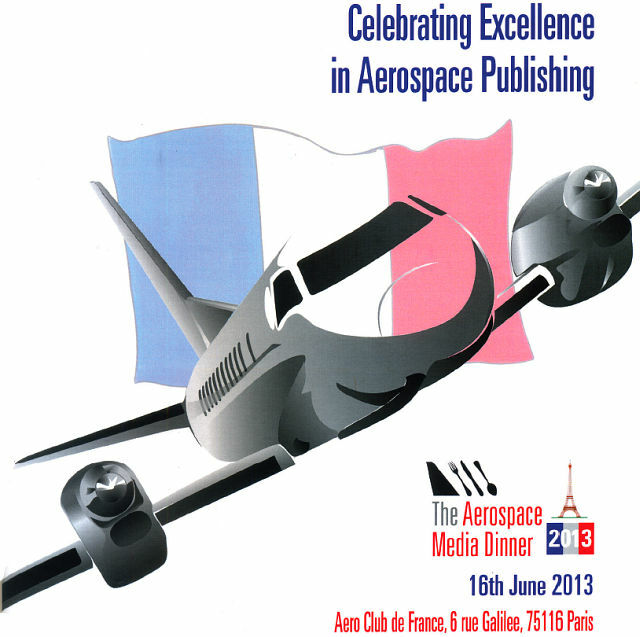 Vasuki Prasad, who writes as The Flying Engineer, was one of seven finalists for the 2013 Best Young Journalist Award, announced during the 2013 Aerospace Media Awards, which was held on the 16th of June, 2013, in Paris at the “historic” venue of the Aero Club de France. The Aerospace Media Dinner 2013, which institutionalised this award, was held in association with Flight Safety Foundation. Sponsors of the event included Dassault Falcon, Eurofighter Typhoon, CAE, Boeing and Rockwell Collins. Beth Stevenson, who works as staff reporter for Digital Battlespace and Unmanned Vehicles magazines, emerged on stage, with Richard de Crespigny, the pilot in command of the famous Qantas Flight 32, which suffered an uncontained engine explosion when climbing out of Singapore, handing the award. The Flying Engineer is known for in depth interviews, reports, and analysis focused on the technical and operational aspects of civil aviation. The Flying Engineer regularly contributes to SP’s Airbuz from SP Guide Publications, besides focusing on the design, development and manufacture of professional flight simulators, and solid state airborne navigation and anti-collision lights. Previously with Honeywell, The Flying Engineer has two United States Patent Applications in the field of aviation lighting (airborne and ground). Wow that’s a great news. Undoubtedly he deserves the award. Thank you ma’am. Was a pleasure to have you at the ATC. I am very proud to be a friend of Vasuki Prasad! Way to go..Congratulations, Vasuki ! congratulations to you. it is very powerful one .